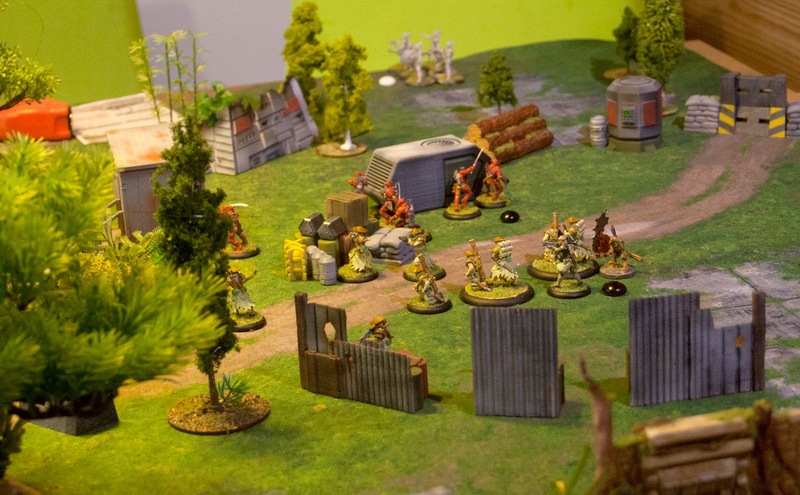 In Free for all scenario both opponents secretly choose one of three objective points. 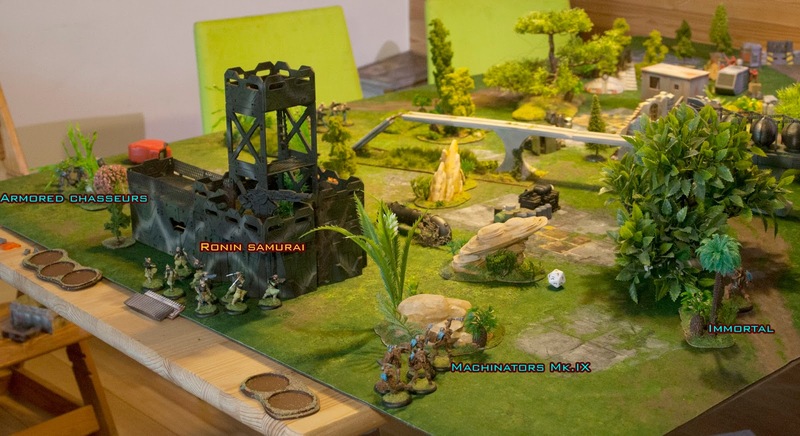 Objectives are revealed after deployment but before the first turn. For the sake of the narrative, one objective was a drop zone, and other two were intel drop off points. After the end of the third turn, and onward, victory is achieved if you have all of your troops in 12" around your objective, but none of your opponents troops in 8". In narrative, you were successfully lifted off, or you found the intel that was waiting for you. Cybertronic player choose objective no1, and Mishima player picked up objective no3. Year 1282 YC. Venus. Abandoned mining post - Mishima drop zone Delta. At the end of their tour of duty a small Mishima force was making its way towards an extraction point at the landing zone delta. 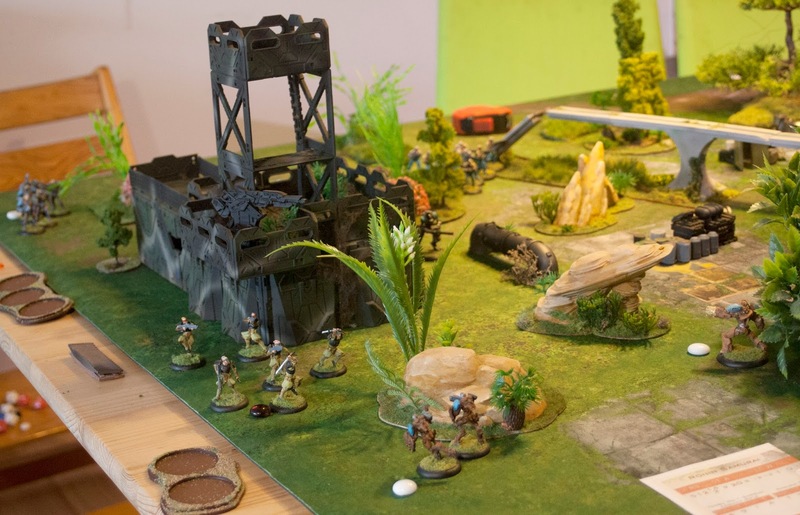 After the last bloody engagement with Bauhaus forces they were scattered and now they were making their way through the dense jungle in small groups. 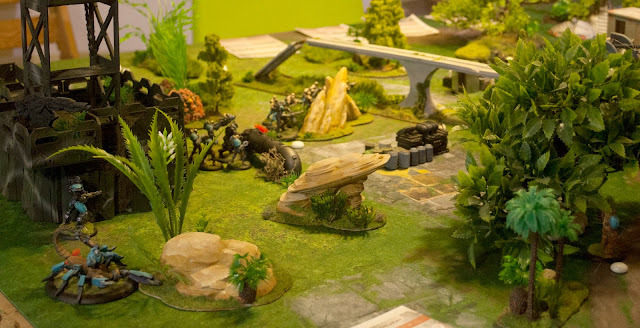 At their rear, their commander ShiroX and small unit of Dragon bikes run rearguard and tried to cover their tracks. Little they knew that on the other side of derelict mining outpost where Depo zone Delta was located, a force of Cybertronic warriors were looking for the intel left by their spy in the service of Lord ..... At no small surprise, two forces stumbled upon other. A unit of Ronin samurai got the shortest straw in this draw, their path run straight through Cybertronic force. Without any hesitation they charged the nearest cybertronic unit, with guns blazing and katanas swishing trough the air. Some of machanizze warriors fall pray to their attack, but completely surrounded by the enemies their numbers started to dwindle. Dragon bike unit arriving late tried to help them by laying heavy fire on the center of cybertronic force, but in vain, because ground started to shake beneath Ronin feet and monstrous mechanical scorpion unburrowed from it. One of the Ronin warriors fell into the pit and was stomped to death by monster`s feet, and others were cut by precise fire of its guns. 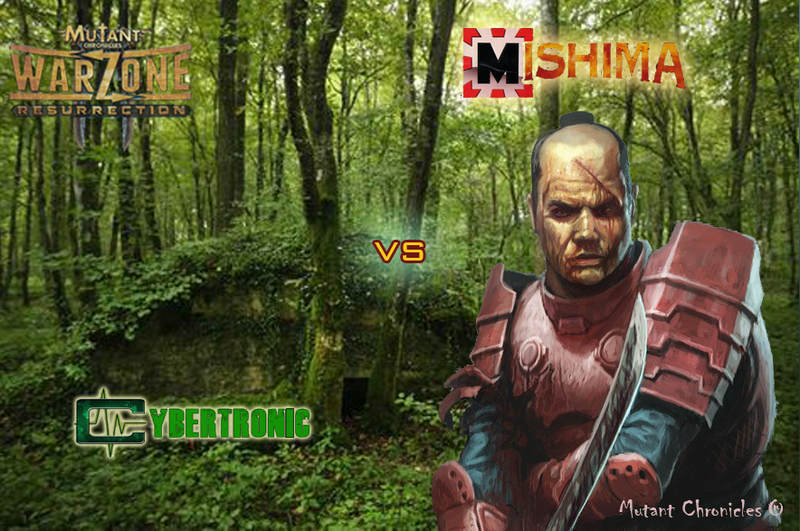 Last Ronin charged the last Machinator and cut him with katana, but had no time ti enjoy his little victory because scorpion tail cut him in half. Being wittiness to that, Dragon bikes turned towards landing zone laying covering fire while doing that. 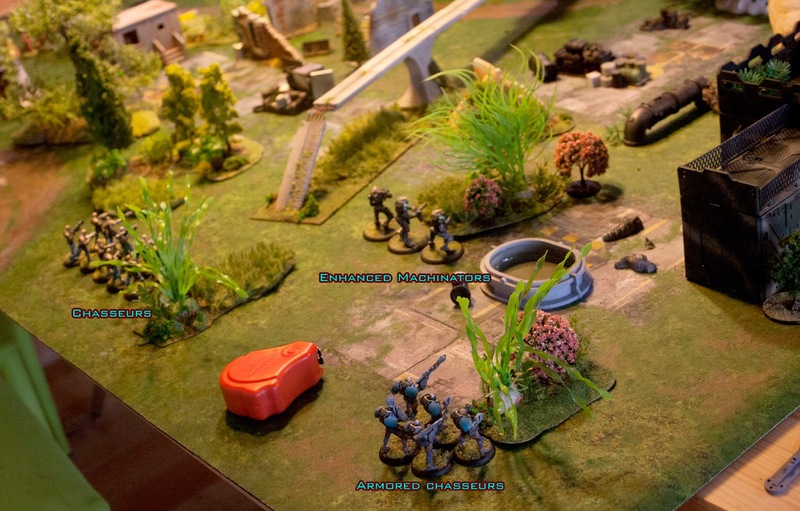 On the other side of the battlefield a unit of Mirrormen was on its way from photo shooting session to join cybertronic forces, but was welcomed by another form of shooting - this time it was heavy machine gun fire. The fire was not precise because of their disorienting armor , so they rushed in the direction of the HMG to investigate what was going on. In that haste, they run strait into the main Mishima force. While they were taking defensive positions, Shadow walkers appeared, some from the shadows of dense undergrowth, and some from the fog in the air. The surprise was very effective, strange warriors run through the mirrormen like specters leaving just a bloody trail and bodies behind. 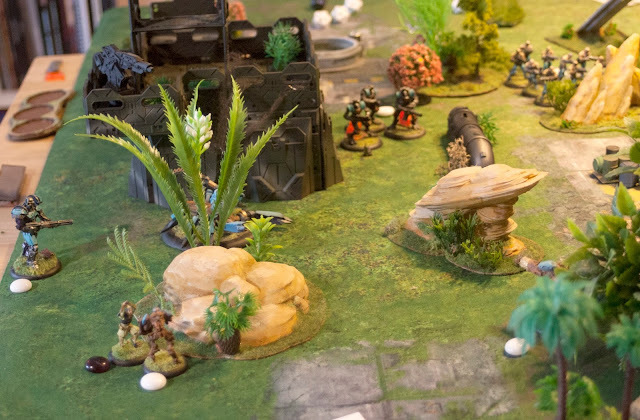 Finding their intel, cybertronic force withdraw, disappearing in the dense vegetation. 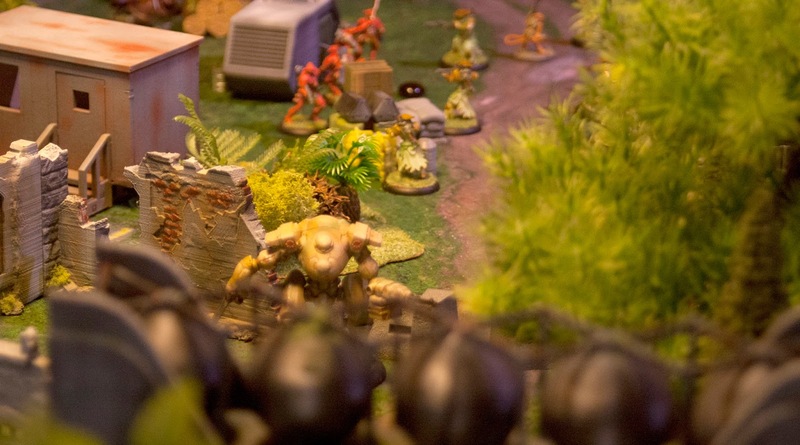 When ShiroX arrived, he could just regret that his force was not better at interdiction of cybertronic plans. Today it was his regret, tomorrow it would be somebody else`s job - they were going home. While thunder of shuttle engines roared atop of their heads, they had to wait for the Meka pilot to make his way back to landing zone, so they could conclude this last bloody episode of their journey. Free for all scenario with Escalation deployment looked to me as a real bloodbath, but Gods of luck had other ideas. 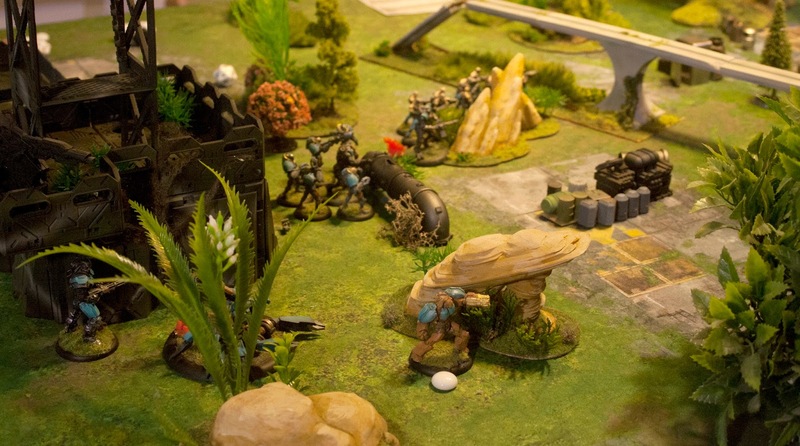 Only one unit from both players ended amongst enemy units, near to enemy objective. It smelled like draw from the beginning, but when Mirrormen arived late near my objective I had a glance to the path to victory. Then, in the third round, I went from hero to zero. Only thing I needed to do to win was to make a wall of bodies 10" from my objective - so Mirrormen could not go past and contest the objective. Two of my units were out of the zone, but could easily reach it on time. But, this was the first time I used Shadow walkers so I had an itch to see what they can do. And they killed all of the Mirrormen except one, which committed suicide by stepping out of combat. Like that victory went out of my hands, so the only thing I should have done to have a draw is to retreat two of my units to the zone. Before I retreated Meka, I had a parting shot at the Cybertronic leader. Three of four HMG shots connected, but forth was a 20 - fumble, and I lost my last action and the possibility to withdraw to objective zone. With it , I lost the game. But it was a good game to loose :).